When we didn’t think we owed the money. There was a feeling uncertainty because we were not sure when the IRS was going to come knocking on our door. Even just take money from our bank accounts. We had no idea what was going to happen because we haven’t contacted anyone before we contacted Tax Clean Up. My tax debt originated from my ex-husband and I owning a business in 2014. I felt like I could contact Mike or anyone on his team at any time. And they made me feel welcomed. Mike and his team were able to quickly assess our tax issue and get results. I actually received a REFUND of $12,000! I would recommend Mike and Tax Clean Up to everyone! So I contacted the IRS and they said you need to fill out this form. This went on for months, I was worried and unsure how to fix this problem. I contacted a family friend and they recommended Mike because they used his services before. So I contacted Mike and he was able to see me right away. When Mike started working with me, I actually understood what was going on with my situation. Mike worked really hard and was able to provide me options on how to fix my problem. Even when I asked a question late at night. Mike was able to get my tax bill reduced by over 80%! I definitely recommend Mike to everybody because of how quick Mike responds back to you! My issue was unpaid payroll taxes. But, it ended up unresolved. It cost me heavy fees. That is NOT the experience I had with Mike’s team. They were VERY responsive, VERY “take-charge” and VERY responsive in comparison to what I had dealt with in the past. In fact, the thing that I liked most about Tax Clean Up was there responsiveness to my needs. I would absolutely recommend Tax Clean Up and I think you’ll be pleased with their work. My cousin actually referred me to Mike and Tax Clean Up to get an issue resolved, so that I could get approved to buy a house. The issue at hand, was a pending tax lien from the IRS that affected my credit score. So, I was unable to get approved for the loan. I reached out to Mike and within ONE HOUR I was able set-up an appointment to discuss the details of my tax issue. The IRS accepted the settlement, and actually knocked off about $10,000 from my balance on the tax bill. Mike helped me to erase the tax lien from the IRS, and I immediately qualified for my new home, which I’ve been in for over a year now. Mike is a man of his word. He is dependable, reliable, and he did an AWESOME job for me. 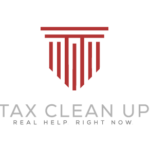 I would definitely recommend Mike and Tax Clean Up to anyone who has problems with the IRS and he will help you get closer to your destination in life. But, the IRS claimed that I had made MORE income than I reported, even though that was incorrect. The difference in ONE decimal point resulted in $1000’s owed in unpaid taxes according to the IRS files. This caused me A LOT of issues in many years when filing, and I had simply just left it unresolved. In the past, (before Tax Clean Up) I had tried to resolved the issue. I was unable make any progress. I was scared, worried, and unsure of the future because I was unable to figure out a good plan to tackle this large tax bill hanging over me. When I reached out to Mike, he responded quickly, professional, and made the process very simple for me. Tax Clean Up proved that I did not owe the money that the IRS claimed I did. I would recommend anyone to Tax Clean Up that is unsure of the future because they afraid of the past. Before I met Mike, I was working as an IT professional and Independent Contractor. However, I didn’t have skills or discipline to file my quarterly taxes, and it got out of hand quickly. When I got involved with Mike, I immediately knew Tax Clean Up could help me out. And, I quickly found out that my skills in the IT world, did not transfer into handling taxes correctly. However, my experience with the Tax Clean Up team was exceptional. They made the appointment promptly. In general, most of my referrals just haven’t filed their taxes and became a HUGE problem when the IRS finally caught up to them. 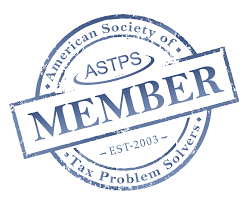 I run into people who need good professional assistance with the IRS and tax issues. I became acquainted with Mike and Tax Clean Up many years ago with referrals from my clients. So the services of a solid professional was needed to avoid LARGER consequences. SAVED the client over $100K worth in debt. Was able to have it CLEARED from their record. The communication between Tax Clean Up, my client and myself was impressive. There was not a time neither of us were not kept in the loop. Before I met Mike, I was working my normal 9 to 5 job and supplementing my income as an Uber driver. There was always a little thing in the back of my mind that made me concerned because I had not been filing my taxes every year. And, I knew that if continued to not file…they could garnish your wages. Basically, you’re “at their mercy”. So, I decided to be proactive about it and reached out to Mike. The journey went smoothly, and they were able to help me with any of my needs. In fact, I almost never had to be in their office, because of their ability to have documents transcribed and signed via the computer. 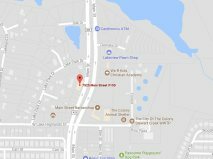 If I had any issues, I was able to contact Mike, and he was able to get back to me WITHIN AN HOUR or at least the same day of my call. As a result of Mike and Tax Clean Up’s effort, I was able to get a payment plan that was comfortable for my budget. I would absolutely recommend Mike to anyone who has an IRS problem, and have already referred people to come see him. In fact, the more I talked with my wife about the situation…the more anxiety that would come. There’s PEACE OF MIND when it comes to dealing with someone who is a professional, and Mike is that person. He and the Tax Clean Up Team have made our lives awesome. Progress and Expectations are clearly communicated. And bottom-line, if you’re looking for someone professional, responsive and able to get the job done.